Snapchat has announced a number of creative tools for Indian voters for the Lok Sabha 2019 elections. Snapchat says it will work with the Election Commission of India and guide users to resources verified by the ECI. 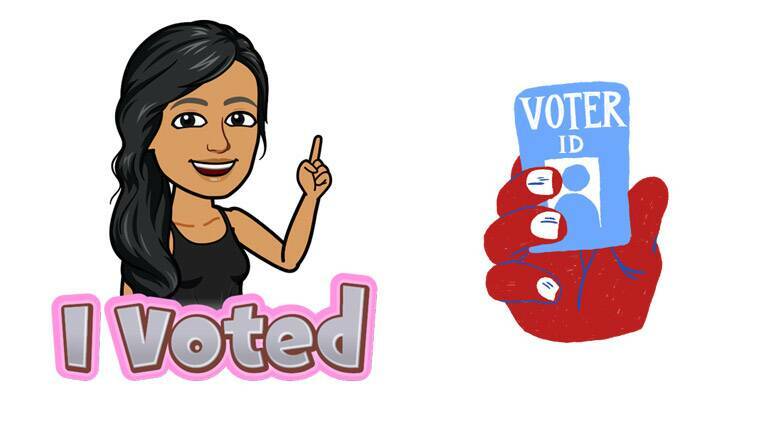 Snapchat has introduced new stickers, special filters, Lenses and Bitmojis for the Lok Sabha 2019 elections. Snapchat has announced a number of creative tools for Indian voters for the Lok Sabha 2019 elections. The app says it will work with the Election Commission of India, and guide users to resources verified by the ECI. On April 10, Snapchat will be sending a message to all users via the the ‘Team Snapchat’ Snap reminding them to look when their constituency goes to vote. Snapchat also said it will send a message or Snap in each individual state with a link to polling location information, which is hosted on the Electoral Commission of India’s website. The company also has creative tools like filters and stickers for those who go out to vote. The Snapchat app will have these tools available till late May. Snapchat also plans to let users engage with a creative tool about the election, and their Actionmoji on the Snap Map will come with an option to change to ‘I Voted’ Actionmoji. Coming to the Snap Map, which can be accessed by swiping down on the camera, this will offer ways to voters to check their online voter roll, look up when their State Constituency is voting. There will also be a ready link to the polling station encouraging voters to go out and cast their vote. Snapchat also says that fake news and misinformation have less of a viral potential on the platform, given their approach. On Snapchat only trusted partners, approved by the company can publish content and the Discover tab is heavily curated and moderated just as the rest of the public content on Snapchat. Official Stories on Snapchat from prominent parties, political personalities include Madhukeshwar Desai, the Indian Congress + Youth Wing, Anurag Thakur and Priyanka Chaturvedi. The messaging app has partnered with The Quint, The Wire, Huff Post India and Brut India for curated new stories, Publisher Editions and Shows to showcase on Snapchat for the elections in India. It is also partnering with YLAC India (Young Leaders for Active Citizenship) and hosting a geo-filter competition to encourage voter engagement and expression for the elections in Mumbai and Delhi. The company will take place on April 24 for Mumbai and May 12 for Delhi. The messaging app recently announced that it would support four Indian languages, namely Hindi, Marathi, Gujarati and Punjabi.